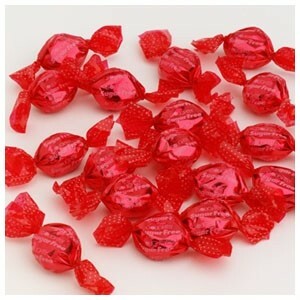 At CandyStore.com, we have thousands of candies on our shelves ranging from ooey-gooey and sinful to low-calorie and light. Since most people are trying to stick to New Year’s diets, we thought it’d be helpful to spotlight some of our top sugar-free bulk candies that only skimp on calories—not flavor—so you can find something tasty to munch on that won’t ruin your resolution. 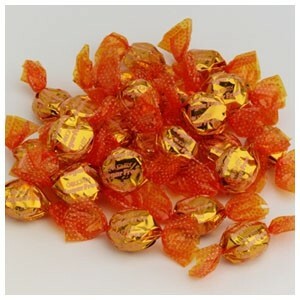 Butterscotch has a rich, caramel and buttery flavor, which leads one to believe it’s super high in calories. But this hard candy doesn’t come with any added sugar! In a five pound bulk bag with about 120 pieces per pound, you’ll be stocked up on a yummy treat you can use in candy dishes, on top of baked goods (when crushed), or inside lunch boxes for a “sweet” fix that won’t ruin your diet. 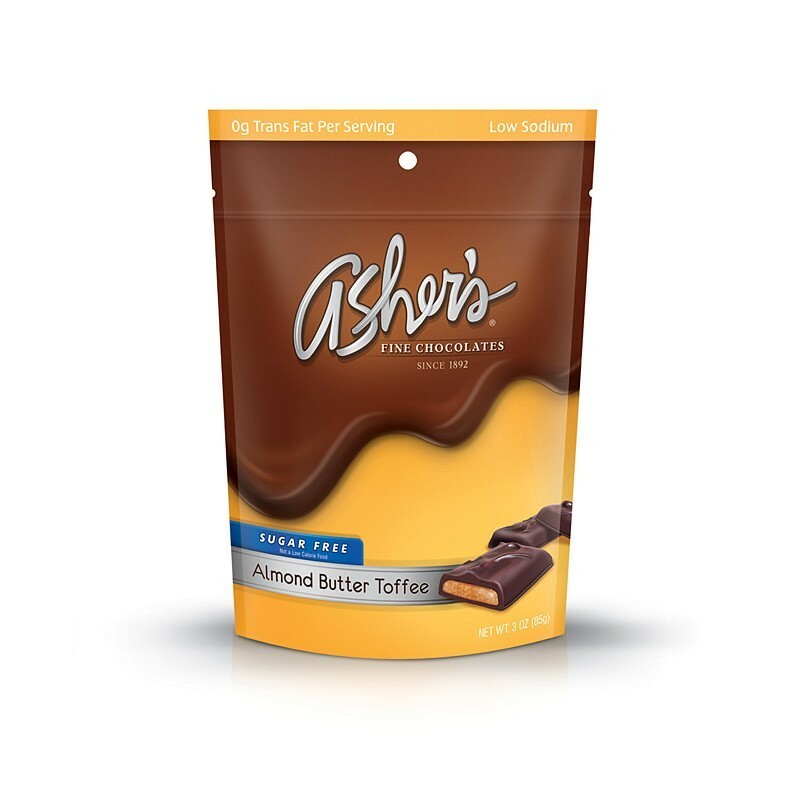 Peanut butter and chocolate are an incredible combo, but this pack is made even sweeter without added sugar! 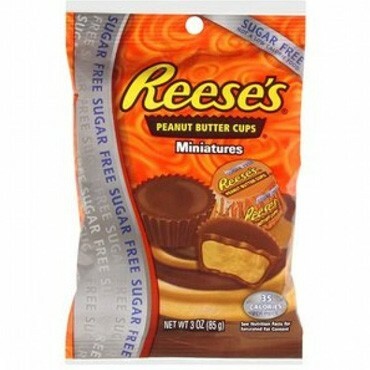 Whether you’re trying to cut out sugar completely or have a health condition that doesn’t allow for much of the sweet stuff, you can enjoy these sugar-free Reese’s Cups without feeling like you’re missing out. Top your fat-free fro-yo with a few of these candies, fill your office candy dish with a handful, or use these on top of healthier baked goods. When you need something “sweet” and savory that won’t make you pack on the pounds you can definitely turn to this excellent treat. The combination of chewy, sweet, and “sugary” is divine. What’s even better? 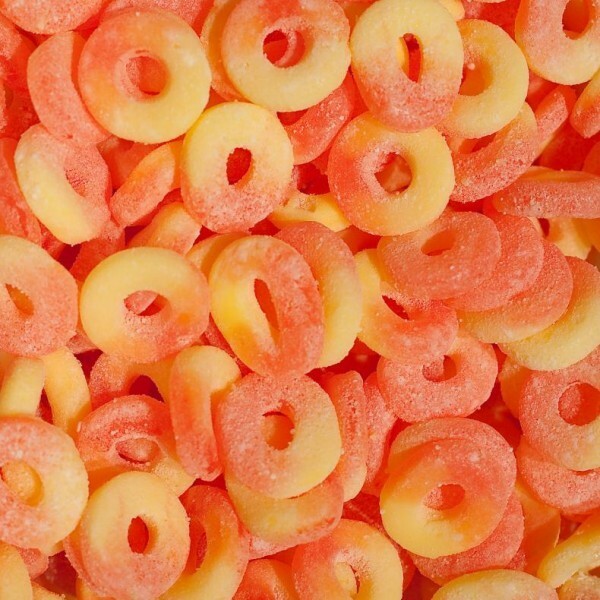 The fact that these peach gummy rings don’t have any cane sugar. Making cocktails for a get-together? Use a Skinny Girl cocktail recipe and then top it with these great garnishes. All you need to do is slip a few over a straw, use a skewer, or cut a slice to add a few to the rim of the glass. Not a fan of peach gummies? These sugar-free worms might be right up your alley! We personally love a chewy treat because it lasts longer, so you need less to satisfy a sweet tooth. 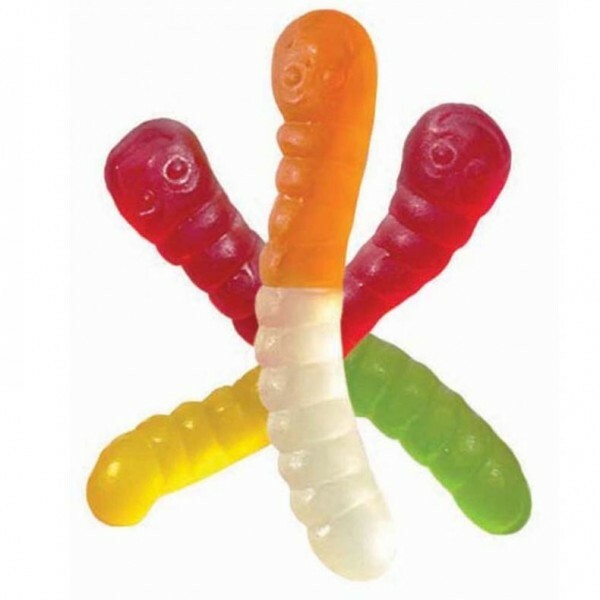 Let a few of these sugar-free worms wriggle into your mouth and enjoy guilt-free. Looking for a low calorie adult beverage idea? Try vodka-infused sugar-free gummy worms! Or, give lower calorie death by chocolate a whirl. Lemon is super refreshing, but it needs sugar to get rid of the tart bite. However in this popular lemon hard candy, you’ll find all the sweet and sour flavor without the extra sugar. If you’re making lemonade, iced tea, or a cocktail, unwrap some of these lemon sugar-free hard candies and crush them with a meat mallet or hammer. Then, wet the rim of the glass with water and dip it into the pulverized candy. It’ll add a textural, tasty, and sugar-free treat to your beverages—and a pretty look too! Since toffee is made by caramelizing sugar, it’s hard to believe it’s able to be made without it! Alas, miracles do happen and we have a whole stash of bulk sugar-free almond toffee for you to bring home and snack on even when you’re dieting. Remember that death by chocolate recipe we showed you above? Well, these are the perfect toffee candies to use with it. They’re also delicious alongside a strong black coffee, crumbled on top of low-fat ice cream, or sprinkled onto a peanut butter covered banana. Gum is a great way to trick your brain into feeling full—and sugar-free gum is the perfect way to appease your dentist while you do it! Extra gum comes in a variety of sugar-free flavors, but we love this green apple version because it gives you a burst of sweet flavor while you chew. Stock up on this gum and keep it in your desk at work and in your purse or pocket to pop into your mouth when a craving sets in. 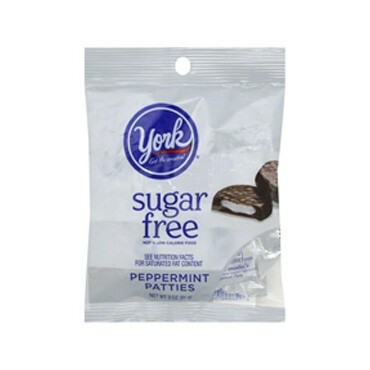 Chocolate and mint now come sugar-free with this diet-friendly pack of York Peppermint Patties! If you need a break from kale chips and the salad bar, enjoy one or two of these refreshing and indulgent tasting treats—it’s sure to do the trick! You can do so much with mint and chocolate, like making your own fat-free York Peppermint Patty ice cream, low calorie mint chocolate brownies, and so much more. Here’s a tip: make a big batch, portion into bite-sized snacks, stick it in the freezer, and enjoy when you need to munch on a sweet treat. Natural cherries have cancer-preventing compounds and tons of antioxidants. We can’t pretend these cherry hard candies can do the same, but with no added sugar they sure won’t do any damage! Everyone has a different type of sweet tooth; some need chocolate and peanut butter while others crave fruity sweets. This treat is for the latter type of people! 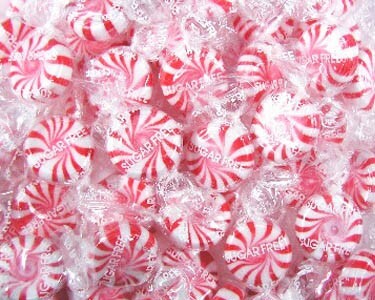 Peppermint is wonderful because it soothes the stomach and doesn’t require added sugar! Freshen your breath while kicking a sweet tooth relapse simultaneously when you snack on these sugar-free peppermints. Looking for more sugar-free candy to help you stick to your diet while indulging your sweet tooth? Check out what other sugar-free sweets we have on our shelves.